This Ham and Cheese Breakfast Casserole is a perfect dish to feed a crowd on a holiday morning – or a delicious way to cook with leftover holiday ham! We developed this Ham and Cheese Breakfast Casserole as part of an ongoing Ambassadorship with Peapod. All opinions are 100% mine. With a house full of guests visiting for the holidays, I can’t think of a better way to start the morning than this Ham and Cheese Breakfast Casserole! 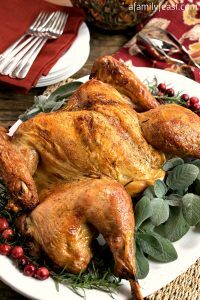 It’s a delicious option to serve on Christmas morning (or any morning for that matter) – but it’s also a great way to cook with any leftover holiday ham you might have after Christmas dinner! 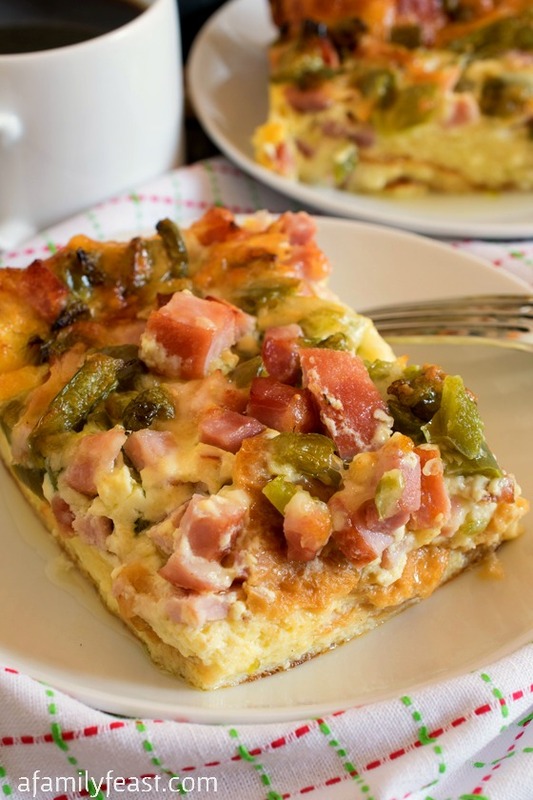 To make this Ham and Cheese Breakfast Casserole, simply layer diced ham and green bell pepper and shredded cheddar cheese over cubes of sweet bread – such as Challah, Portuguese sweet bread or Hawaiian bread. Then pour a simple egg custard over the top and bake for about an hour. 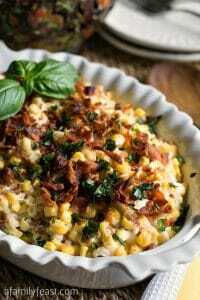 After it comes out of the oven, this Ham and Cheese Breakfast Casserole has a creamy and comforting texture that the entire family will love! 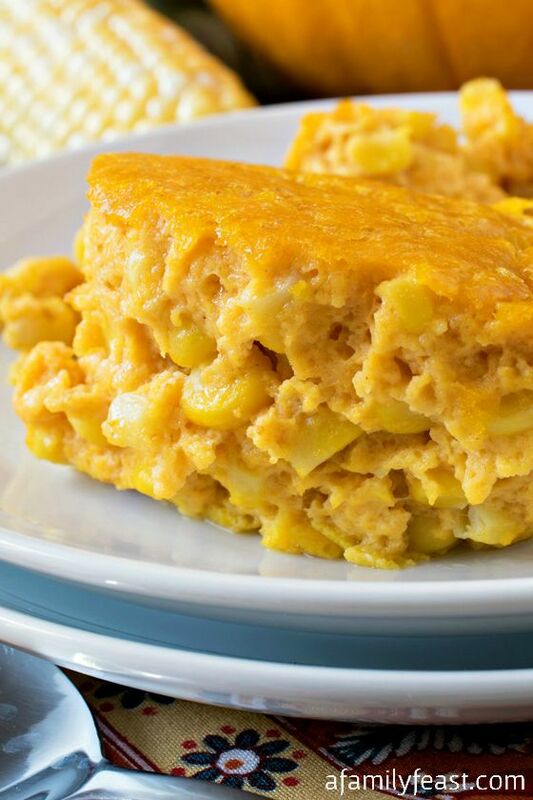 We found all of the ingredients to make this breakfast casserole over on Peapod. And I have to tell you – the convenience of ordering our groceries online and having them delivered by Peapod right to our house during this hectic holiday season has been a big time saver! Peapod always has hundreds of items in stock – so you’re sure to find everything you need for your holiday parties and family gatherings. You can save money with their weekly specials and budget-friendly store brands like Nature’s Promise and Simply Enjoy. Simply place your order online and select a delivery date. And here’s a helpful tip: As you are planning your holiday menu now, why not start your grocery shopping online with Peapod at the same time! (One less thing to remember to do later!) And don’t worry, you can make changes to your order – including changing your delivery day and time – even after you’ve checked out! 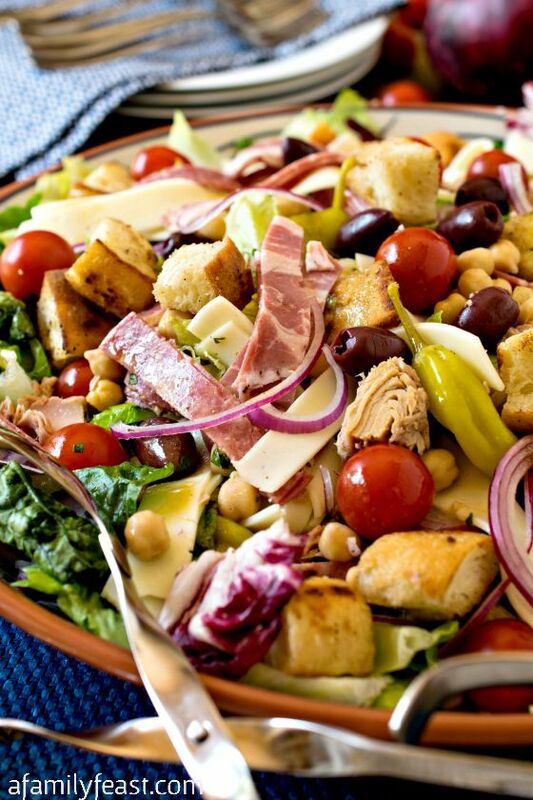 To learn more about Peapod’s grocery delivery service, visit them here. 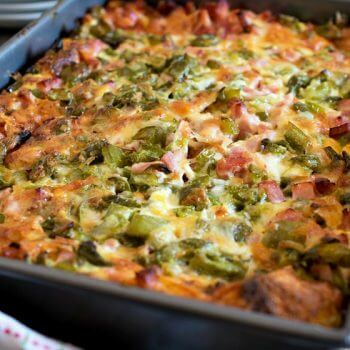 And – for this delicious Ham and Cheese Breakfast Casserole (and many other delicious recipes from some great food bloggers), click on over to FromThePod.com. In a large skillet, sauté bell pepper and 2 tablespoons butter over medium-high heat for five minutes. Set aside. 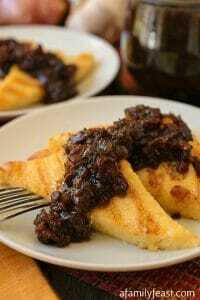 Place cubed bread in a buttered 9×13-inch casserole dish or pan. 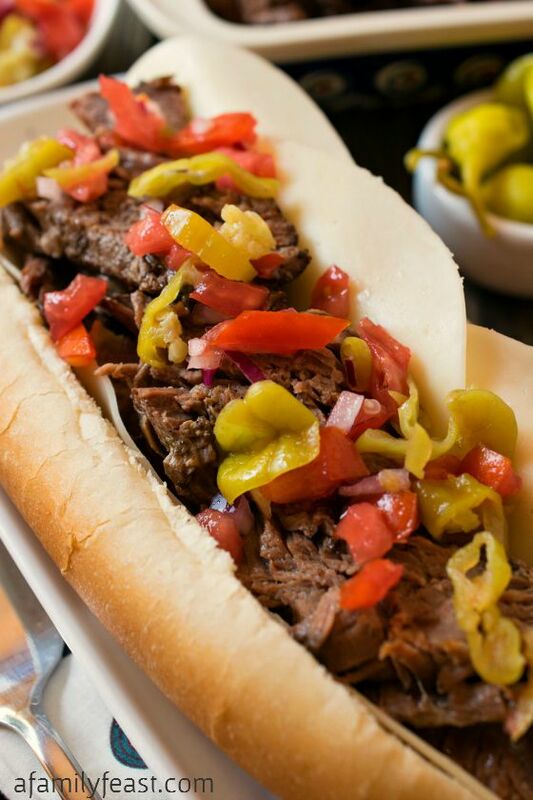 Toss together cooked peppers, cheese and diced ham in a large bowl, then spread evenly over bread cubes. Place salt, mustard, nutmeg and pepper in a small bowl and mix a few tablespoons of the egg mixture in with the spices and mix with a fork until dissolved and not lumpy then add back into egg mixture and whip to combine. Pour the egg mixture over the bread mixture and press down slightly so bread absorbs liquid. Bake uncovered for 1 hour at 325 degrees F.
Increase heat to 350 degrees F and bake for another 15 minutes or until browned on top and a knife inserted into the center of the pan comes out clean. Allow casserole to rest for ten minutes before serving. 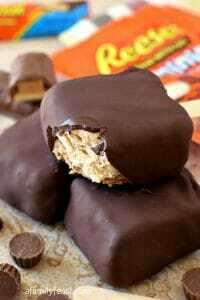 Cut into squares and serve with a spatula. 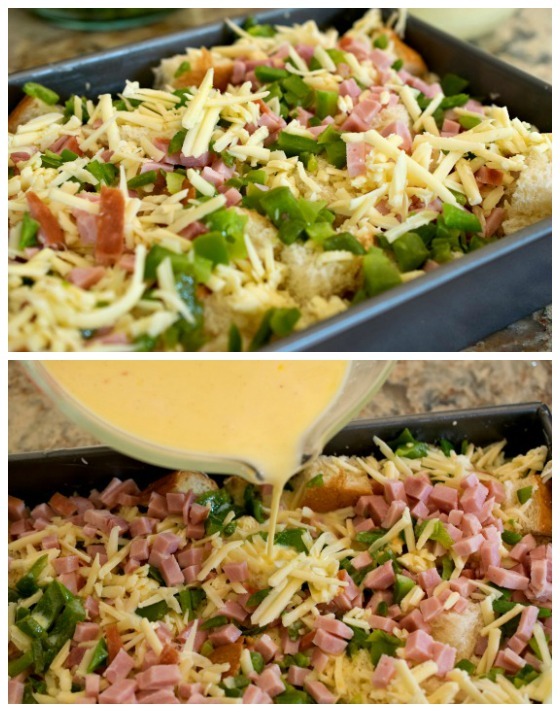 This casserole looks delicious & perfect for Christmas morning! 🙂 And how cool is this Peapod service?? I can’t even imagine how much time & stress it saves you to have groceries delivered right to your front door. Especially during the busy holiday season. 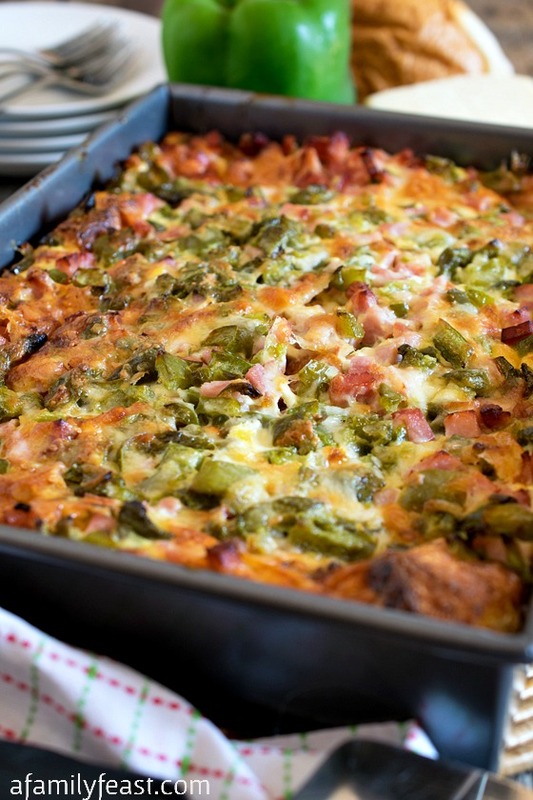 This breakfast casserole sounds like a great idea for the holidays! I love how delicious this looks, great breakfast casserole for the holidays!! I love breakfast casseroles! They are the perfect choice for holiday brunch! I’ve never used an online grocery service before, but with as busy as I’ve been lately,it’s worth looking into! Can this be frozen? I would like to make ahead for Christmas morning as I will be having a crowd for the holidays.